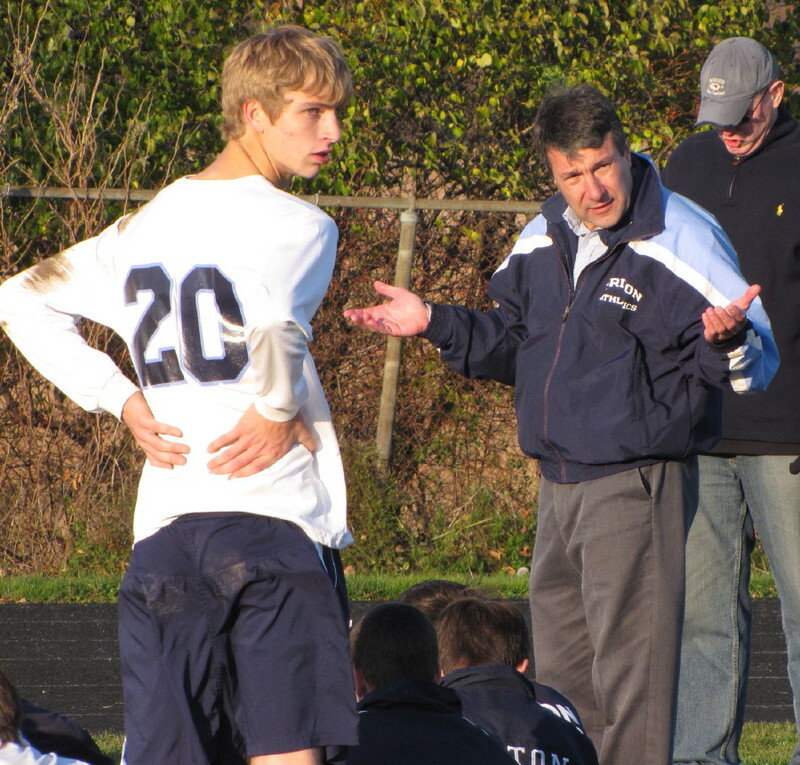 (Byfield) I was on hand for the Triton (14th seed) boys easy soccer win over visiting Shawsheen Tech (19th seed) on Saturday afternoon in the Division 2 state tournament preliminary round. The Vikings now advance to the D2 North First Round on Monday against North Andover at NA at 4PM. The Scarlet Knights haven’t lost since September 16th but Triton competed well against them in a 4-3 loss at NA on October 14th. 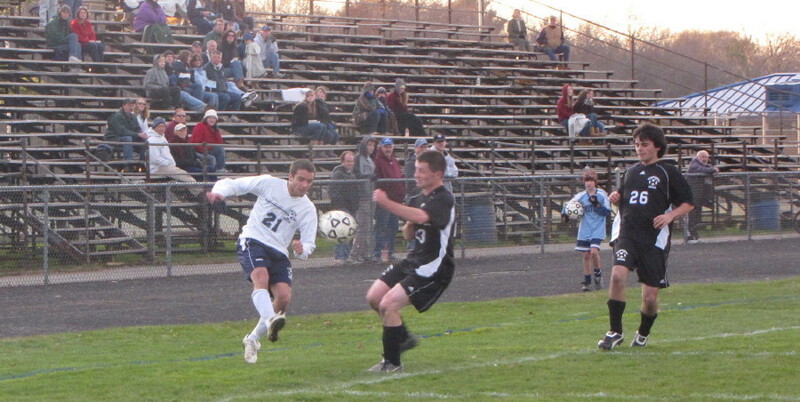 Triton scored three times in the first half and spent most of the rest of the time threatening to score. Perched near the Shasheen goal I was in a position to see most of the action. 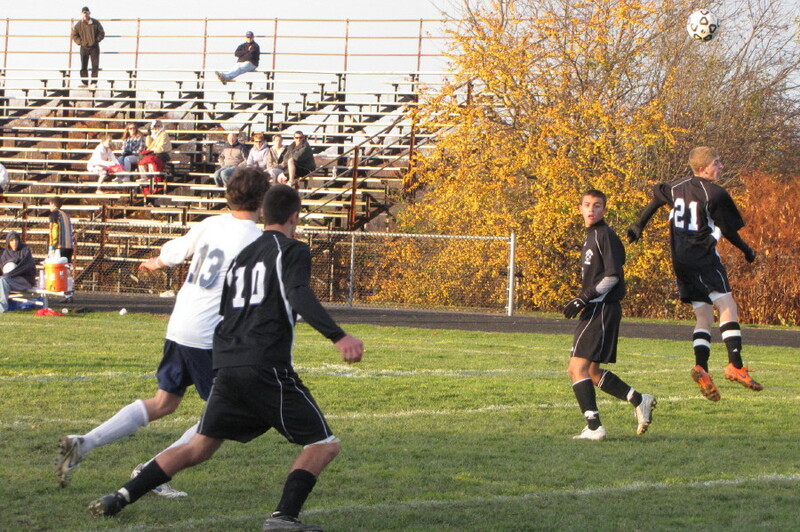 I saw Collin Smith tally the first goal after a corner kick gave him a direct shot from in close. 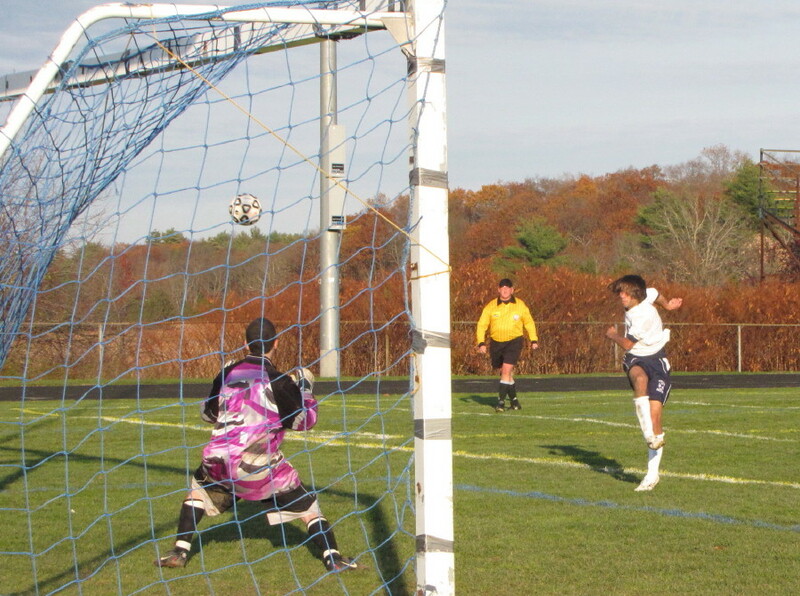 This first half shot shows the kind of pressure the Vikings put on the the Shasheen goalkeeper. A near-miss by Justin Paquette. He did connect on the second Triton goal. This was a Pat Martin shot on goal. 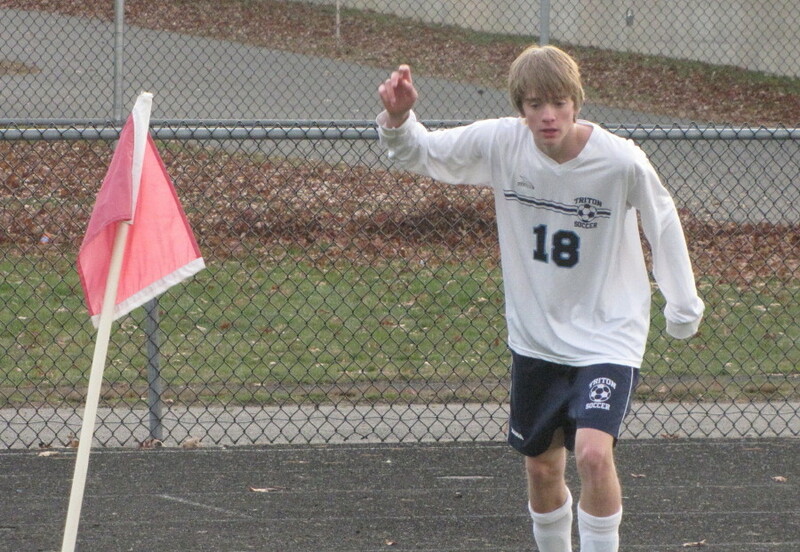 This was Eric Peterson preparing for a corner kick in the second half. 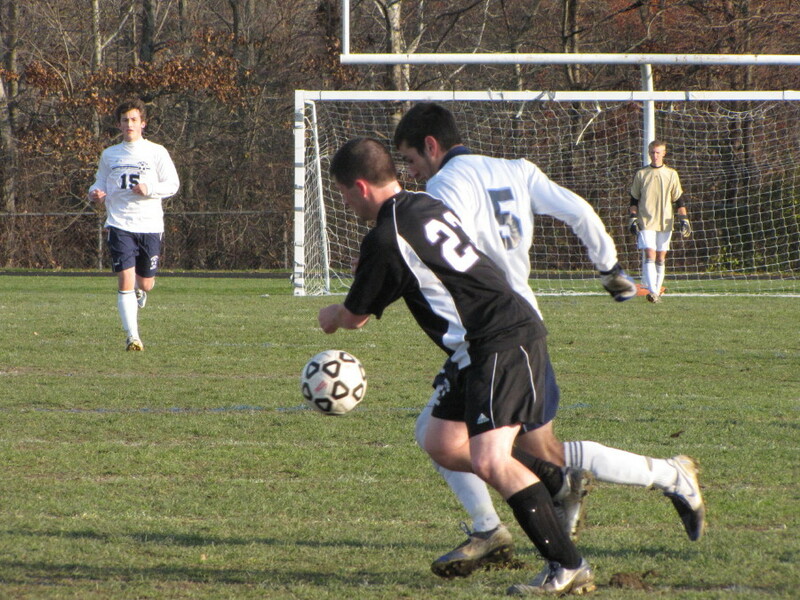 Here is Gabe Marcolini and Matt McWeeney in action. 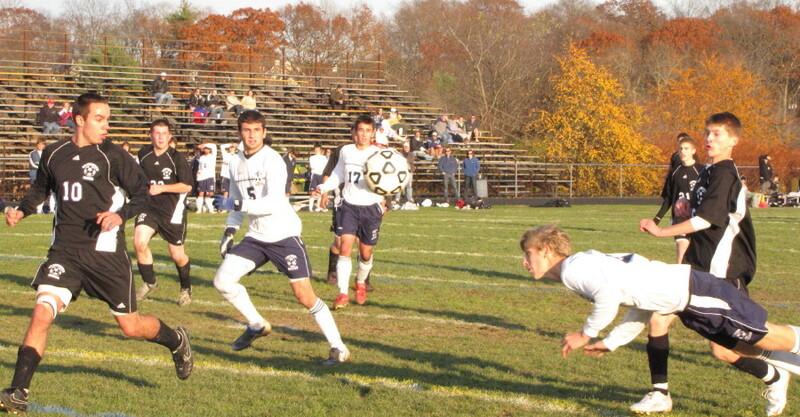 Matt is heading the ball toward the Shasheen net. This is a look downfield at Pat Martin, Dan Ford, and goalie Dan Norton. 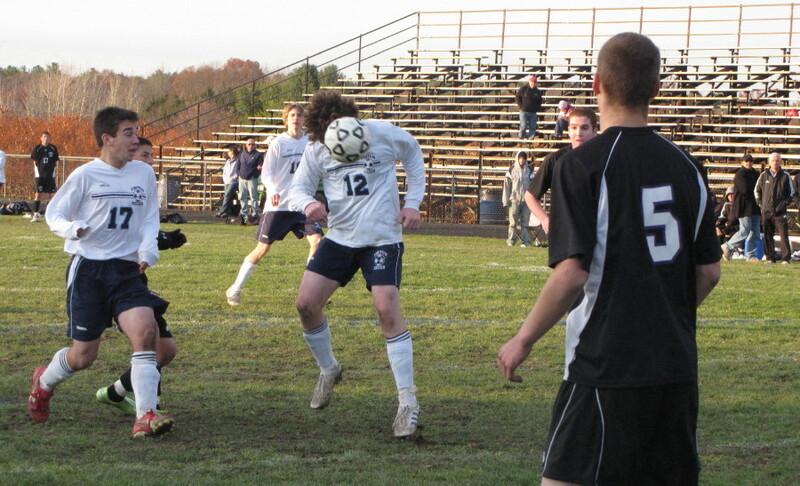 Here is Max Nichou kicking toward the Shawsheen goal. Corey Burgess assisted on the 3rd Triton score by Andrew Fitzgerald. This is Triton Coach Brad Smith at halftime. 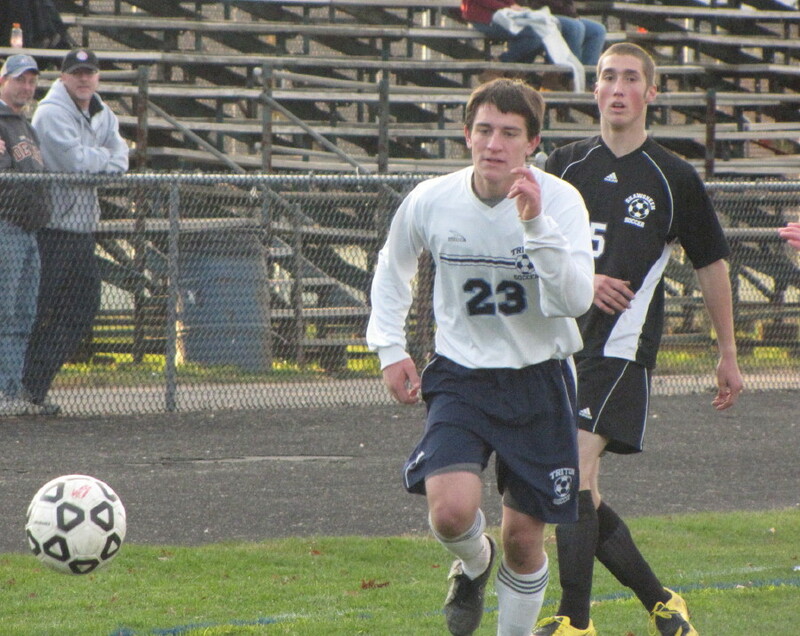 Neal Lojek heads toward the Shawsheen Ram net. 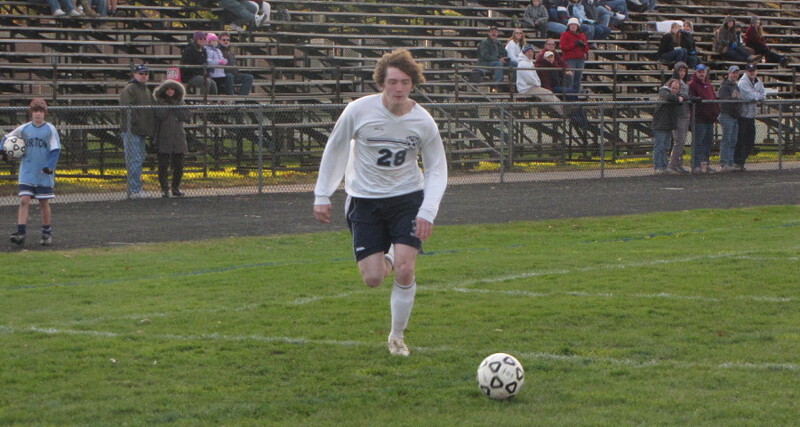 Neal set up the 4th Triton goal headed in by Andrew Fitzgerald.